Read our free online guide to hearing, hearing loss and hearing aids. In searching for solutions to treat your hearing loss, you have already taken the first step to better hearing. As you embark on this journey, it’s important to say that the road is not always an easy one. Though the result of searching for hearing solutions has a happy ending, the path there can be daunting and confusing. Hearing aids seem expensive, and finding the perfect one appears time consuming and difficult. Without the right guidance, some find the journey so challenging that they may never take the first step. It is important to remember that you are not alone in this process. If you are an important friend or family member in the life of a hearing impaired person, you can be that guide. Hearing loss has the potential to be an isolating experience. For people who have been living with hearing loss, finding the right solution is life-changing. You can help lead your loved one toward a future with better hearing, and conquer the challenges of the journey together. You want to provide information and support along the way – but you need help, too. Feeling empowered to help your loved one find solutions for better hearing is all about having the right information, and that is what this guide is intended to do. With straight-forward, no-nonsense information on every step during the hearing journey, we hope that this guide helps you connect with and help your loved one. We break down the importance of speech discrimination, hearing aid technology and even tips for having conversations with your loved ones – all in an effort to help you be the best hearing advocate your loved one could ask for. We’re excited to help you embark on the important and beneficial journey of helping your loved one re-connect with the world through better hearing. Imagine your five senses – your ability to experience the world with your eyes, your ears, your tastebuds, your fingertips and your nose. Think about the incredible things we experience every day using our five senses, maybe even things we take for granted. Our senses are integral in our experiences – and they enrich our memories. Now imagine what it would be like if one of those senses was lost forever. How would it change how you interact with the world? What if that sense could be restored or improved? This guide takes you through the journey toward better hearing, step by step. Of all of the ways we sense the world, our ears make our lives incredibly rich. Hearing is our fastest sense: it only takes 0.05 seconds for sound to be processed (while the brain takes a quarter second to process an image). Nearly every human experience is heightened by our ability to hear – from the sound of music, to conversations with our loved ones to the sound of rustling trees outside. It goes without saying that hearing is a fundamental part of our daily lives, but it’s also one of the most common senses that we lose over time. Of all of our senses, the loss of hearing is perhaps the most important to treat early. That’s because our sense of hearing is complex – more than just our ability to hear sounds, we need to be able to understand sound in order to experience it fully. The auditory process is an intricate one, engaging both our ears and our brains. When we lose our hearing, our ability to perceive the sounds that make up speech is often the first to deteriorate. This will interfere with how we communicate with others, and it can be the hardest to recognize when it begins to happen. 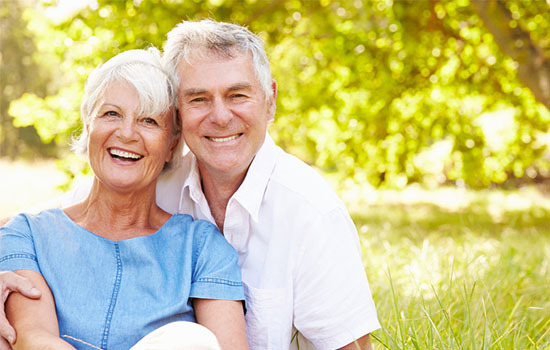 Treating hearing loss early is one of the most important steps towards improving your life, or that of your loved one. But how can you help guide your loved one on the journey of identifying, recognizing and treating hearing loss? How can you help your friend or relative improve their lives through better, richer hearing? This guide takes you through the journey toward better hearing, step by step. From recognizing the early signs of hearing loss to those very first conversations about hearing loss to the exciting first fitting of a hearing aid, this comprehensive guide breaks down each step. You will learn how each and every step is important, and how to set off on the journey feeling prepared and empowered. Your loved one’s journey toward better hearing starts with you, and we’re here to help you make the most of it. Looking for a Hearing Healthcare Professional? It is important to remember that you are not alone in this process. If you are an important friend or family member in the life of a hearing impaired person, you can be that guide. Hearing loss has the potential to be an isolating experience. For people who have been living with hearing loss, finding the right solution is life-changing. Click below to find the right hearing care provider today. Hearing loss is a dynamic and complex health issue that may occur for a number of reasons, from genetics to aging to damage from repeated exposure to loud sound. As complex as hearing loss can be, it’s also a common problem. In the United States, approximately 48 million people experience hearing loss. Hearing loss may occur to anyone, at any age, but it occurs more frequently in older Americans. An estimated 30% of adults over the age of 65 experience some form of hearing loss. That increases to almost half of adults over 75. But as common as hearing loss is for older Americans, many that are experiencing hearing loss don’t know it immediately. Most go an average of seven years before seeking treatment. 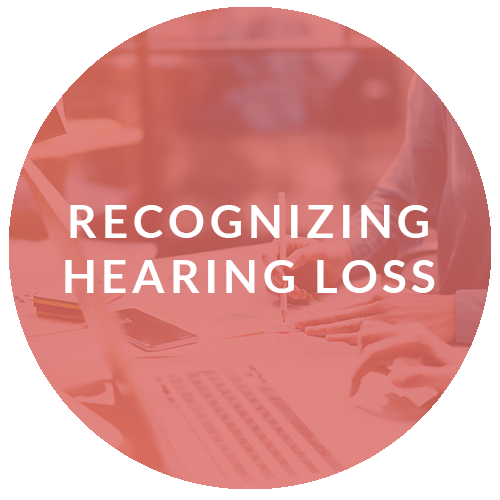 The reason is simple: hearing loss often happens gradually – and the first to notice changes sometimes aren’t even the people who experience the hearing loss themselves. More often than not, it’s friends and family of someone with hearing loss that notices the signs first. Without the right information, it can be difficult to identify the signs of hearing loss. Most of the signs are subtle – from slowly rising volume settings on the TV to avoiding conversations in loud environments. If you think your loved one might be experiencing changes in their hearing, pay attention to these five tell-tale signs of hearing loss. Having a conversation on the phone is more challenging for many people than speaking with someone face-to-face – but it’s also one of the most common signs of gradual hearing loss. If your loved one frequently asks you to repeat yourself in a phone conversation, or misunderstands you, it may be hearing loss. If your loved one frequently asks you to repeat yourself in a phone conversation, or misunderstands you, it may be hearing loss. Most mobile phones and landlines have a volume setting that adjusts the sound of a speaker on the other end. If you’ve noticed that a loved one frequently has a difficult time understanding a conversation on the telephone, your next step should be to check these volume levels. If the phone is set at the maximum volume, and your loved one still has a hard time understanding conversations, then the issue might not just be the reception of the call. It could mean that the range of frequencies in speech are falling outside of what they can perceive. Just like telephone calls, TVs and radios are easily adjusted for volume, and are a great way to determine if your loved one is experiencing changes in their hearing. If you’ve noticed a TV set to maximum volume, or a car radio blasting at an unreasonable level, this is a good sign that they are no longer hearing sounds the way they used to. Remember – hearing loss is often gradual, so they might have slowly increased the volume without realizing what it could mean. Additionally, depending on the TV and radio programming, the sounds may have different frequencies. You might find that your loved one has a harder time understanding talk radio or conversations than they do music, which might not require perception of sound like speech does. Pay attention to which kinds of programming is most difficult for them. With hearing loss, it becomes increasingly difficult for people to understand speech against background noise. Speech requires a listener to perceive a greater range of frequencies to understand what is being said. As such, people with hearing loss tend to have more difficulty with high-frequency voices, such as that of women and children. While a listener might not notice that they can no longer hear the higher frequencies in music, it will be easier to pick up on when those frequencies important to understanding a word or sentence are absent. As a result, people with hearing loss may find themselves having to concentrate much harder on someone speaking – which can be downright exhausting in social situations. Social situations, usually with multiple speakers, simultaneous conversations, and background noise, tend to be challenging for people who experience hearing loss. This may cause someone to withdraw entirely from social situations, and willingly isolating themselves from interactions that might leave them tired or frustrated. If you notice your loved one avoiding family get-togethers or gatherings that they would otherwise enjoy, this could be a sign of hearing loss. Though we might not notice it, speech is a very complex combination of sounds and frequencies that requires a wide range of sound to be understood. Depending on the situation, you may mishear sounds that are similar, such as “p” or “b”, or “t” or “d.” Listeners must rely on small differences in frequency to distinguish between them. Many similar sounds require that a speaker move their lips in similar ways – and if a listener is relying partly on lip-reading to distinguish words, it’s easy to mix them up. When someone is experiencing hearing loss, they often lose not just the ability to hear sound in general, but very specific frequencies in sound. When someone is experiencing hearing loss, they often lose not just the ability to hear sound in general, but very specific frequencies in sound. When it comes to speech, our brains are able to anticipate patterns. Hearing loss interferes with our ability to anticipate patterns due to muddled sound signals. Pay attention to how your loved one hears certain words – do they often confuse words with similar sounds, or words that look the same when spoken? This can be a sign that your loved one is having difficulty perceiving a certain frequency needed to hear a word – an important element of hearing loss. When someone experiences hearing loss, the first symptom is often difficulty with high frequency sound perception. While lower-frequency sounds like a bass drum or a deep voice are easier to understand for hearing loss sufferers, perception of higher sounds is commonly affected sooner than lower frequencies. These higher frequency sounds are most common in the voices of children and women. If your loved one has little problem understanding a man speaking – but strains to understand a child or female voice – this is a sign that the range of sounds they can hear is narrowing. Coming to terms with hearing loss can be challenging for family members, but even more challenging for those that experience it themselves. Talking to your loved one about their possible hearing loss requires both sensitivity and healthy channels of communication. Before sitting down to talk with your loved one, it is important to come prepared with examples from your experience with them, research on hearing loss, and suggestions on next steps. Set aside a time and place that is quiet and will not be challenging – your living room, for example, rather than a crowded restaurant. Keep in mind that your goal is to encourage them to take a hearing test. Engaging your family member or friend in a conversation about their hearing loss means you will need to give examples, ask questions and be ready to listen. Rather than simply telling a loved one about the signs of hearing loss you’ve noticed, try asking them if they’ve noticed these changes, too. Ask them about certain environments in their daily life which may prove difficult to their hearing. The right questions allow your loved one to recognize the signs for themselves – which can make the prospect of going to a hearing specialist more empowering and less daunting. Plus, a hearing specialist will need the right information to make an accurate diagnosis, so this conversation will also help prepare your loved one for their hearing test. Once your friend or relative identifies the signs of hearing loss with your help, the next step is scheduling a hearing test. These are simple and straight-forward procedures to help identify and understand a person’s unique hearing challenges, and are the first step toward finding a solution. While there are lots of hearing tests online, it is essential to visit a hearing specialist for an accurate picture of their hearing abilities. Comprehensive hearing tests are conducted in soundproof rooms by hearing specialists. 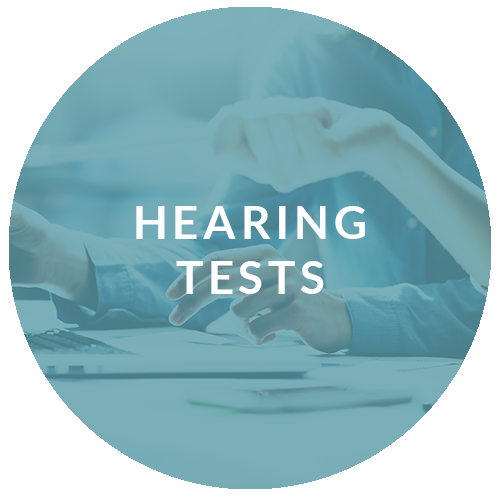 These series of tests will identify the configuration and degree of hearing loss, and will also ensure that your loved one will receive the best solution for their specific hearing needs. Scheduling an appointment with us is the best way to get off on the right foot. Unlike lots of medical procedures, however, hearing tests are non-invasive and comfortable procedures. Hearing loss, just like many health issues, is best understood and treated with the right testing. Though treating hearing loss seems a straight-forward, hearing loss is actually a complex condition that is experienced differently by each and every person. Just like other health issues that can only be treated after a series of tests, treating hearing loss requires the right kind of information before looking for a solution. Unlike lots of medical procedures, however, hearing tests are non-invasive and comfortable procedures. They are designed to help a hearing specialist more precisely identify what kinds of hearing loss someone is experiencing, and that requires plenty of communication, data-gathering and controlled testing. Though every person suffering from hearing loss is different, hearing tests are standardized procedures that will follow a similar configuration. Our hearing specialists know how important it is to understand the specifics of your hearing loss, as well as the person who is experiencing it. The first part of a hearing test is a conversation with your hearing specialist. To prepare for this, gather information on your personal and family medical history. If you are on any medications or receiving treatment for another health issue, be sure to provide that information as well. Most of this information is gathered by simply talking – a hearing specialist will ask certain questions in order to connect the dots between past experiences and current hearing difficulties. Hearing is a very subjective experience, and as such there are countless ways hearing loss may have affected your loved one. During a hearing test, a hearing specialist will need to get the details about how and when a patient notices changes in their hearing. Your hearing specialist will establish a general understanding of your daily life, employment, and activities. This gives your hearing specialist important information on the different environments in which you may hear. This will also be a chance for them to discuss what sound environments are most difficult – whether that’s making sense of sound in busy places or understanding certain kinds of speech. From there, they will connect this anecdotal information to the results of what comes next. An audiogram is a visual representation of your hearing, separated by ear. This tool informs your hearing specialist of your ability to hear two things: pitch (or frequency), and intensity. Frequency is measured in Hertz (Hz) and is how hearing specialists referred to high-pitched and low-pitched sounds. Intensity refers to how loud a sound is, and is measured in decibels (dB). The audiogram is coupled with a piece of equipment called an audiometer. During this portion of the hearing test, you will be asked to sit in a soundproof room. Your hearing specialist will provide you with headphones, through which you will hear a series of tones in varying pitch and intensity, produced by the audiometer. As you listen through these headphones, you will be asked to push a button when you hear a sound. Your responses are recorded as data on an audiogram. Afterwards, a hearing specialist has a visual representation of the frequencies and volume levels are most difficult for a patient, as well as the configuration of the hearing loss. This is crucial information they’ll need to move to the next step: finding the solution. Because hearing is a unique and personal experience, your hearing specialist needs to understand a person’s history to get to the bottom of what caused their hearing loss. Your loved one might have a hard time remembering when they first began noticing changes in their hearing, because the signs are subtle and hearing loss happens gradually. Talk with your friend or relative before the test. You may have information about your experience with them that may fill in the gaps. Consider writing down what you discuss. That way, they can have a detailed record to share with their hearing specialist during their appointment. Lots of people experience hearing loss because of genetics, in addition to the natural process of aging. These hereditary factors can sometimes point to less common reasons for hearing loss, and are important for a hearing specialist to know. Work through the family tree with your friend or relative to identify possible hearing loss in their relatives. In the same way someone can be near- or far-sighted, someone can also experience many different configurations of hearing loss. Even with an audiogram, a hearing specialist relies on anecdotal information when deciding on next steps, too. If you have time, work with your friend or relative before the hearing exam by “testing” different sound environments. Ask them questions about their hearing in different places – in loud restaurants, at home watching TV, speaking on the phone – and write down what you find out. These details will help a hearing specialist paint a clearer picture of their specific kind of hearing difficulties. Hearing loss is a medical condition, and most medical conditions can be affected by other health factors. If the person experiencing hearing loss is currently being treated for other medical conditions or is using medication, take note for your hearing specialist. Overall health will be a talking point during a hearing exam, so come prepared with information about other medical issues either past or present that might be affecting hearing. Click below to find the right hearing care provider today. Though most of us think of hearing loss as the inevitable side effect of aging, hearing loss comes in many forms, and is caused by many different factors. While getting older is the reason behind a majority of hearing loss, there are other types that are caused by more complex issues. Most experts will categorize hearing loss into four types, based on its root cause. Crucial to our ability to perceive and understand sound are two parts of the ear: the cochlea and the auditory nerve. The cochlea transforms sound into electrical impulses and delivers it to the auditory nerve. Hearing specialists will tell you that hearing happens in the brain: it is the auditory nerve allows us to perceive sounds. Sensorineural hearing loss, which is localized in our inner ear, occurs when this process is interrupted – sometimes by environmental factors like damage due to exposure to loud sound or certain kinds of medication, and sometimes by biological factors like aging. Usually, this common type of hearing loss is permanent, but can be vastly improved with hearing aids and other hearing technology. Conductive hearing loss refers to problems with the outer and middle ear. Sounds are picked up by our outer ear, travel in our ear canals, and are amplified by our ear drum. From there, these vibrations travel to the inner ear where they are turned into signals for the brain to receive as sound. When someone experiences Conductive Hearing Loss, this pathway in the ear canal is obstructed so that those vibrations can’t reach the nerves in the inner ear. This is sometimes caused by fluid, infections, tumors and even deformations of the outer ear or within the middle ear. Even more commonly, this is caused by impacted earwax. Sometimes this kind of hearing loss can be corrected with medical procedures, including surgery – but this isn’t the case for all kinds of conductive hearing loss. Sometimes, hearing loss is a combination of many factors – hearing specialists will call this Mixed Hearing Loss. If someone is suffering from mixed hearing loss partly caused by conductive factors, hearing can be improved by removing obstructions or correcting issues within the ear. Usually there is another level of sensorineural damage, though, so mixed hearing loss is also often treated with hearing aids. Hearing is a complex interchange between the ear and the brain. Sometimes, this communication between the ear and the brain – which processes the sound – is interrupted or damaged. This can lead to your brain having difficulty “understanding” sound. These types of hearing loss are called Central Auditory Processing Disorders. For CAPD hearing loss, the problem lies within the brain, and is usually caused by the brain “confusing” sounds after they have already travelled through the ear canal and ear drum. with the right combination of functionality, there’s a hearing aid for nearly every type of hearing loss and lifestyle. For as many types of hearing loss and hearing difficulty a person can experience, there are just as many incredible types of technology within a hearing aid. Though small and unassuming, hearing aids are incredibly advanced and complicated pieces of medical equipment. Within a device no bigger than your thumb, you might find more hi-tech functionality than you’d find in your mobile phone or computer. Hearing aids are currently in a Golden Age of innovation, with incredibly fast processing platforms and wireless connectivity. With so many styles and features to available, it may seem like a large task at hand to choose the right one. The first step toward understanding hearing aids is becoming familiar with the basic technology that goes into a hearing aid. Depending on the hearing aid, some functions are more or less advanced – but with the right combination of functionality, there’s a hearing aid for nearly every type of hearing loss and lifestyle. Channels and bands make it possible to adjust and tailor a hearing aid to a unique set of hearing needs. Each channel or band handles a certain frequency or set of frequencies, and they can be adjusted to suppress or sharpen different sounds independently. More channels means that your hearing specialist has more options to adjust an aid specifically for a certain wearer’s needs. Bandwidth is what allows a hearing aid to hear a certain range of frequencies. The wider the bandwidth, the more frequencies a hearing aid can pick up and amplify. For hearing aid wearers, it’s important that an aid’s bandwidth is wide enough to amplify the frequencies they have trouble with – particularly high frequencies. Programs for hearing aids are different combinations of settings that can switch on or off depending on a sound environment. Sometimes, hearing aids will have one program for louder environments, and another for quieter sound. Some hearing aids offer a series of programs tailored specifically to speech or music or when outdoors in wind. Some hearing aids switch programs automatically, while others can be switched manually by the wearer. Most hearing aid wearers will use two hearing aids – one for each ear. Many hearing aids are designed to mix and balance sound from both hearing aids, providing a clearer picture of sound and better localization within an environment. Ear-to-ear communication – or E2E – is what specialists call the technology that allows aids to “talk” to each other. Just like most high-performance technology, hearing aids rely on batteries to operate. Most traditional hearing aids have a small battery inside that must be replaced regularly – once a week at least, or more frequently depending on the technology level of your hearing aids. Depending on the hearing aid, people with dexterity issues may have difficulties replacing their batteries. Some hearing aids use rechargeable batteries. Rechargeable batteries allow hearing aids to be recharged every night, just like a cell phone. This saves time and energy, and lets a hearing aid wearer focus on hearing better every day. Our ears are able to focus amplification on certain areas, and this is especially useful for understanding speech with background noise. Directionality refers to an aid’s ability to focus amplification in a certain direction through a microphone, while suppressing sound from other directions. This can either be done automatically or manually, depending on the aid. Following trends in digital technology, there are a number of hearing aids equipped with wireless compatibility available on the market. These hearing aids allow wearers to connect to their smartphones and similar electronic devices, which opens up a new world of accessibility. By connecting wirelessly to your smartphone, these hearing aids may be controlled via downloadable apps. Additionally, connecting to a smartphone gives the wearer an option of geo-tagging using GPS. By archiving user preferences in different environments, the hearing aids will automatically adjust to programs and channels that have been pre-selected by the wearer as they return to geo-tagged locations. Some hearing aids are able to stream phone calls, music, and other media by connecting to smartphones, which provides a better sound quality for the wearer. Some hearing aids include a remote control, just like a television, to make adjustments to settings easier. A remote control allows a wearer to make changes to things like volume, directionality, and noise reduction by clicking a button. Most aids allow settings to be changed on the aid itself, but a remote control adds another level of ease. Hearing aids that are smartphone-compatible may be controlled via downloadable apps (often provided by the manufacturer of the hearing aid). With the understanding that speech recognition is one of the greatest challenges of hearing loss, hearing aids are equipped with programs to improve speech recognition. There are many different modes that are available for different environments in which you may encounter speech, from quiet intimate conversations to louder environments such as a restaurant. Like a lot of sound technology, sometimes hearing aids can experience feedback from the interaction between the aid speaker (receiver) and the microphone. Consequently, most aids have feedback suppression functions to anticipate feedback sounds, as well as to reduce this annoying whistling sound, making hearing more comfortable with an aid. Hearing aids are designed to help a wearer hear important sounds, not every sound all at once. In order to make sound clearer and more easily understood, most hearing aids have automatic noise reduction, which helps minimize annoying background noise without affecting sounds like speech. Compression is similar to noise reduction, but instead focuses on frequency. When an aid has automatic compression, this means that an aid can focus amplification on low frequencies while minimizing amplification on higher frequencies. This makes the sound through aids much more comfortable to listen to. Earwax is a natural product that is important for our ears, but it is destructive for hearing aids. Most hearing aids will include a wax guard or wax trap, which protects delicate inner-workings of aids from wax naturally produced by the ear. Your hearing specialist will also give you pointers on carefully cleaning your hearing aid of earwax. Depending on the style of hearing aid you choose, it will sit in a specific way in or on your ear. For in-the-ear hearing aids, sometimes the feeling of “blocking” or “plugging” can make the aids a bit uncomfortable. Vents are designed to reduce this feeling, which makes them more comfortable for the wearer by allowing air to flow more freely through them. Moisture is the natural enemy to your hearing aids. As such, hearing aids are designed with material that can fend off low levels of moisture, such as from perspiration. Some hearing aids are more advanced in their level of water resistance, with certain brands that even allow you to shower or swim with your hearing aid. Better hearing is an investment – but finding the right solution to hearing loss doesn’t mean taking out a second mortgage. While hearing aids can be very advanced – and have a price tag to match – but you can find a reliable hearing aid with the right technology at the right price. We are committed to providing the very best technology within an affordable price range, so that your loved one can find the help they need within their budget. Don’t be afraid to talk about your friend or relative’s budget with a hearing specialist at an appointment – we will work with you to find a hearing aid with the technology they need, within a price range they can afford. For more information on hearing aid prices, you can reference the Hearing Aids pricing survey. It is full of information about hearing aid pricing, value, and reliability. The first step is to identify what their priorities are in the fit of their hearing aid. Just like computers and mobile phones, hearing aids can seem complex – but the often-perplexing amount of technology available is designed to hone in on a particular hearing aid wearer’s needs. A hearing aid is not inherently better the more technology it has – instead, choosing the right hearing aid technology depends on your personal hearing needs and finding the technology that matches them. Our hearing specialists are experts in both hearing aid technology, and how specific technologies make a big difference. Before a hearing appointment, ask your loved one to think about their lifestyle and needs – and work with the hearing specialist to identify which hearing aids have the right combination of functionality. The first step is to identify what their priorities are in the fit of their hearing aid. For people with active, on-the-go lifestyles, it’s important that a hearing aid can keep up with the outdoor activities they likely enjoy every day. Whether that’s hiking, biking or swimming, sometimes a hearing aid wearer needs something that can go along for the ride. If durability is an important part of your loved one’s needs, consider a hearing aid that has a high level of water resistance and technology that adjusts sound for windy, outdoor activities. For people who are out and about more frequently than when they are home, having a reliable energy source is important – you don’t want the aid to run out of batteries in the middle of a business meeting. Your hearing specialist will recommend hearing aids with a longer battery life, depending on your needs. Hearing aids might be complex pieces of technology, but they don’t require a degree in computer science to operate. Some aids are easier to use than others, though, and sometimes the difference between “user-friendly” and not is putting control right at the wearer’s fingertips. Hearing aids with a remote control or connectivity to a smart phone will allow wearers ease in making adjustments to settings. This makes a listening environment more personalized, and also gives a user complete control over how an aid helps their hearing experience. Just like the electronics we use every day, a hearing aid wearer doesn’t want to spend most of their time making sure their hearing aid batteries are in working order. Some hearing aids come equipped with charging stations, which makes charging up their hearing aids as easy as plugging in their cell phone. If your loved one is the kind of person who wants their hearing aids convenient and easy to use, this technology is a life saver. Every hearing aid offers variations of advanced technology, but they are not one-size-fits-all. A hearing specialist is an important part in choosing a hearing aid that’s right for a wearer, but that decision doesn’t end the moment your loved one has their new hearing aids. Hearing is, after all, a complex sense – and adjusting to newfound sounds and sensations when wearing a pair of hearing aids is, in a word, surprising! Every hearing aid wearer will go through a period of adjustment, which is likely to be both an exhilarating and challenging experience. Here’s what to expect in this important transitional phase. When wearing hearing aids for the first time, many wearers will say their voice is “booming”, or unusually loud. A wearer’s voice will sound similar to what it sounds like when having a cold, for example – and it happens when the ears are plugged either partially or entirely. Since hearing aids sit in the ear canal in order to help a wearer’s hearing, they can sometimes have a similar effect on the way a wearer hears their own voice. Usually, hearing aid wearers will usually adjust to this change over a few weeks. Most sufferers of hearing loss will lose the ability to perceive higher pitched sounds first, so these are often the most obvious sounds that hearing aids will amplify. Because a wearer is usually unaccustomed to these sounds at first, they can often sound sharp or tinny when first adjusting to hearing aids. Most wearers will adjust to these sounds rather quickly – but sometimes the effects can be alleviated by simply adjusting the volume of a hearing aid. Though it’s exciting for a hearing aid wearer to finally hear all of the sounds they’ve been missing, it’s important not to dive in too quickly. A bit like how your eyes need time to adjust to a pair of contact lenses, your ears and brain will need a bit of time to adjust as well. At first, it may be overwhelming to hear a fuller spectrum of sound. Your hearing specialist will likely tell your loved one to first wear their hearing aid just a few hours a day within familiar environments. As your friend or relative adjusts, they can begin to wear their hearing aids for more time each day, and within new environments like restaurants and family gatherings. This gives your loved one the time they need to get used to all of the new sounds they are hearing – and will help ease the transition into a richer, more dynamic hearing experience. Making the most of a hearing aid doesn’t end at finding the right fit and technology – making adjustments to fit a wearer’s needs is an important step, too. This means working closely with a hearing specialist to create the right combinations of settings that fit a wearer’s needs. As your loved one eases into wearing their hearing aids, it is important that they note when the hearing aid does not feel quite right and when it does not appear to be functioning properly. While a lot of these adjustments happen in the first appointment with the new aids, settings sometimes must be adjusted a few times before they’re just right. Don’t be afraid to talk to your loved one about how their new hearing aids feel and sound – and after a period of adjustment, don’t hesitate to make another appointment to work with your hearing specialist for more adjustments. Finally having the right hearing aids with the right settings is an exciting time for an aid wearer and their family and friends – but it’s certainly not the end of the journey. Hearing aids require lots of TLC and careful maintenance to keep performing well, and it’s important to know what’s required to keep your loved one’s aids in tip-top shape. Make sure your loved one knows the steps for taking care of their aids, and what you can do to help. These are some of the most important things to keep an eye out for when taking care of hearing aids – and what should be on every aid wearer’s maintenance checklist. Like most electronics, hearing aids’ arch nemesis is moisture! It’s important that hearing aids are kept well away from places where water and humidity might be a problem – and that includes bathrooms. While it’s tempting to keep a pair of aids with things like deodorant and makeup, it’s important to keep aids in a place that is consistently dry and free of humidity. A great place is on a bedside table or dresser, where they are unlikely to get lost in any clutter. If you live in a consistently humid climate, it may be worthwhile to invest in a dehumidifying unit. Simply drop the hearing aids in these overnight and wake up to well-dried hearing aids. As with all small, sensitive objects, it is important to keep hearing aids far from the reach of children. Some hearing aids are small enough that they might pose a choking hazard. Also, because hearing aids are an investment, it would be wise to keep them out of the reach of children – they may handle them incorrectly and inadvertently cause damage! If your loved one has pets in their home, it’s important to keep aids well out of reach of dogs, cats or any other animal likely to chew on them. If your loved one’s aids come with a recharging station, this should be kept somewhere high and out of reach. Hearing aids look like a tasty treat for even the most well-behaved furry friend. While it might seem like a good idea to put aids in before continuing on with a morning routine, plenty of things we use in the morning can be destructive for an aid. This goes for hair products like hairspray and gel – as well as lots of different kinds of makeup – that have a habit of clogging up or harming the delicate inner-workings of an aid. Talk to your loved one about making their aids the last step in their morning routine – after hair and makeup. No matter how carefully your loved one takes care of their aids, regular cleaning is an important part of keeping a pair of aids in good working order. Clean, dry tissues or micro-fiber cloths (that are often used for eyeglasses) are great for removing dust and particles gently, and wire cleanings are useful for cleaning smaller, harder to reach areas of your aid. No matter how thorough you are, though, it’s important to return to your hearing specialist for regular cleaning. A hearing specialist can give hearing aids a good check and clean with an expert’s touch. Once your loved one has adjusted to their new aids, mastered their daily care and maintenance and gotten the hang of making manual adjustments to settings, it might seem like it’s the end of the road. While this is an exciting time for both you and your loved one – who is likely hearing all of the things they’ve been missing for months or even years – it is important to remember that our sense of hearing is always changing, and as such, it is important to make sure your loved one’s aids are changing with them. The very best way to ensure that your friend or relative is getting the very most out of their aids is to stay in touch with the professionals that helped them along the way. 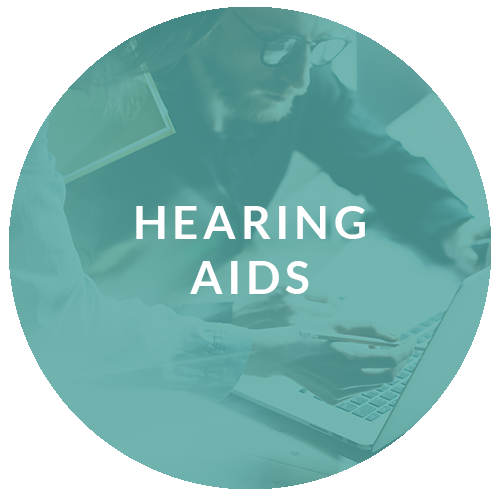 As your loved one’s lifestyle changes, or as their hearing changes, their aids will need expert adjustments that only a hearing professional can give. Hearing specialists recommend annual hearing checkups to ensure good hearing health. But just what happens at a hearing check-up – and why is it so important to head in for a regular appointment? If your loved one’s aids include a remote control, this does help control some of the important settings to improve the hearing experience. Not all of the settings of a hearing aid, though, can be controlled with a remote control – sometimes, it takes special software to make smaller (but equally important) changes to an aid’s settings. These regular appointments allow your hearing professional to talk with your friend or relative about their hearing experience, and the chance to make adjustments that are needed. 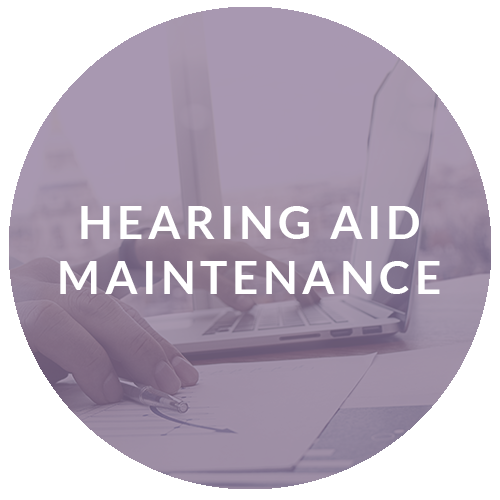 Plus, your hearing specialist will test each aid to ensure that all settings are working properly, and recommend any adjustments or repairs they might need. Cleaning aids is a careful process that your hearing specialist will walk you and your friend or relative through at the first aid fitting – but it’s likely that your loved one’s aids will need a more thorough clean now and then. Regular check-ups are a great time for your hearing specialist to clean the aids more thoroughly – as well as give you and your loved one a few tips on cleaning that you might have missed. Hearing aids must fit be snug and comfortable to work properly, and regular check-ups means a chance to check if an aid’s fit is still perfect for a wearer. This can be done by asking questions about your loved one’s hearing experience, or by simply checking to see that they fit properly. This often goes hand-in-hand with adjustment of settings, since they are both important to the aid functioning like it should. Hearing aids are designed with cutting-edge technology – but even the most advanced aids will eventually become out-of-date. If your loved one has been wearing the same aids for quite a while – and new technology comes along that would improve their overall hearing experience – a regular check-up appointment is a great opportunity for your hearing specialist to go over the options. But don’t worry – most hearing aids are built to last, so you won’t find yourself needing to upgrade so often it’ll break the bank. The world will inevitably change for your loved one, now that they have found the hearing solution they need. Sound will be richer, conversations will be deeper, and their experience of the world will be for fulfilling, happier and healthier. But like every element of our lives, your loved one’s hearing will continue to change and adapt, and hearing aid technology with it. That’s why your hearing healthcare provider should be an important part of your continuing hearing journey with your loved one. With the right guidance and support from your audiologist or hearing instrument specialist, your loved one can continue to hear the world in brilliant color. Website Design by AuDSEO | Copyright @2018. All rights reserved.